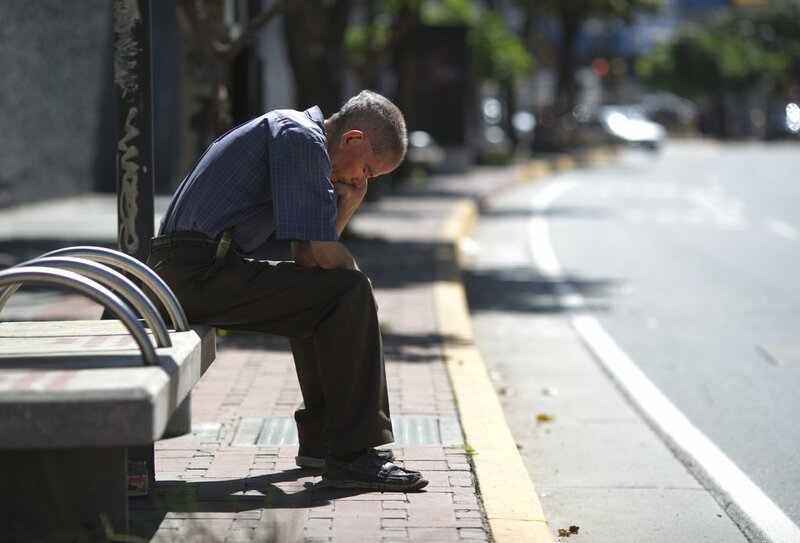 Saul Jimenez just wanted to buy bread from his neighborhood bakery in Venezuela's capital on Monday. It did not go well. Banks and most other businesses were closed for the day as Venezuela launched a series of dramatic economic reforms, beginning with the release of a currency with five fewer zeros in a bid to tame soaring inflation. Rampant inflation means it would take a fistful of bills to pay for a loaf of bread, so many Venezuelans like Jimenez rely on bank cards. But with banks closed to reset their systems for the change, Jimenez's cards wouldn't work — in a scene that played out across Caracas. "It wasn't just mine. Others' didn't work either," said the attorney, who left the bakery empty-handed and frustrated. "Neither the debit card nor the credit card." The currency conversion is among the less controversial parts of President Nicolas Maduro's economic plan. He'll next hike the minimum wage by more than 3,000 percent and raise gasoline prices — now less than a penny to fill up — to international levels. Critics say the package of measures will only make the economic crisis worse. Opposition leaders are seizing on tension among residents, calling for a nationwide strike and protest on Tuesday. 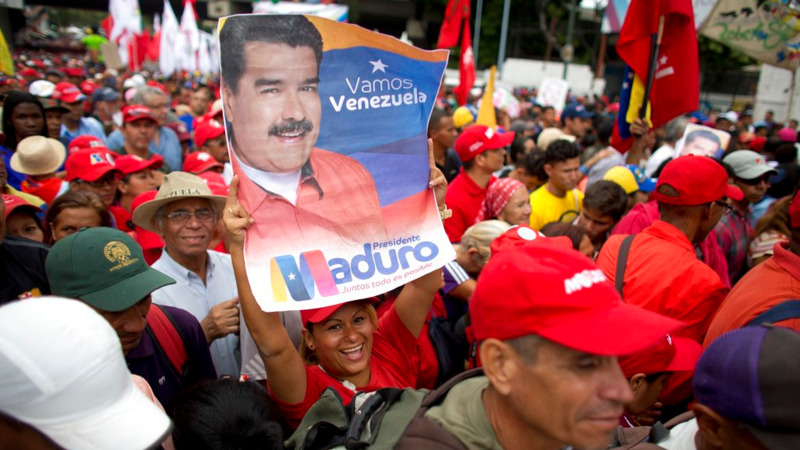 They hope to draw masses into the streets against Maduro's socialist ruling party — something they've failed to do in over a year. The closed banks spent Monday preparing to release the new currency: the "sovereign bolivar." Maduro's government says it will raise gasoline prices in late September to curtail rampant smuggling across borders. The dramatically higher minimum wage will go into effect starting Sept. 1. Economists say the package of measures is likely to accelerate hyperinflation rather than address its core economic troubles, like oil production plunging to levels last seen in 1947. As Maduro declared Monday a national holiday, Caracas was quiet with most store fronts closed for business. Other banking activities shut down for about twelve hours to allow for a transition to the new currency. 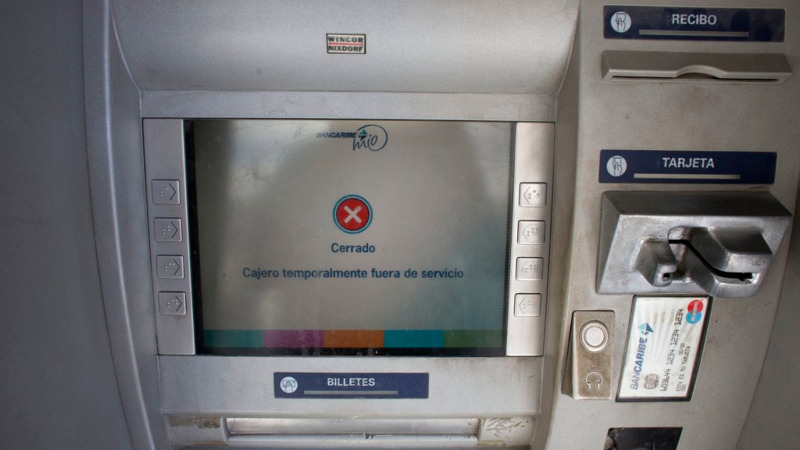 Most banks on Monday reactivated their online services and ATMs, but some customers complained of troubles. The impact of the currency conversion won't be known until Tuesday. One question is whether the banks hold enough cash to meet the public's need, as officials have promised. Venezuela was once among Latin America's most prosperous nations, holding the world's largest proven oil reserves, but a recent fall in oil prices accompanied by corruption and mismanagement under two decades of socialist rule have left the economy in a historic economic and political crisis. Inflation this year could top 1 million percent, according to economists at the International Monetary Fund. Inflation has made it difficult to find paper money. The largest bill under the outgoing cash system was the 100,000-bolivar note, equal to less than 3 cents on the commonly used black market exchange rate. A cup of coffee costs more than 2 million bolivars. The new paper bills will have two coins and paper denominations ranging from 2 up to 500. The lowest represents the buying power of 200,000 current bolivars while the highest stands in for 50 million. The old and new currencies will remain in circulation together during a transitional period. The government made a similar move in 2008, when then-President Hugo Chavez issued new currency that eliminated three zeros to combat soaring inflation. Maduro has also said he wants to peg wages, prices and pensions to the petro — a cryptocurrency announced in February but which has yet to start circulating. He said one petro would equal $60, with the goal of moving toward a single floating exchange rate in the future tied to the digital currency. Business owners say they fear the sudden wage hike would make them unable to pay employees without sharply increasing prices. 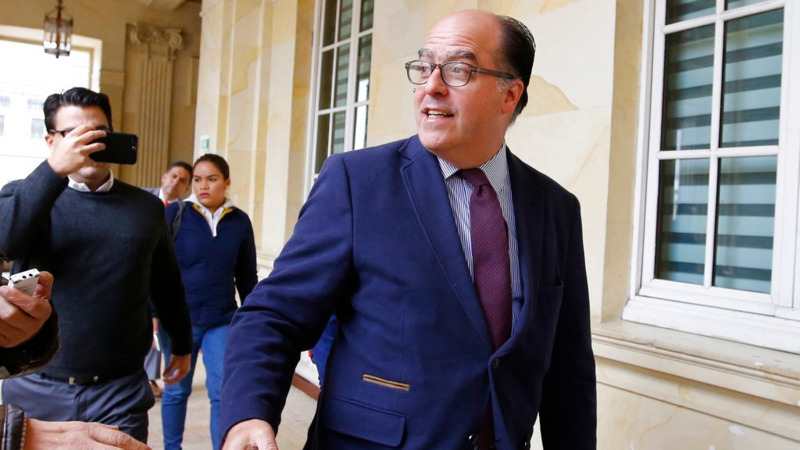 The next few days will be very confusing for both consumers and the private sector, especially commercial retailers," said Asdrubal Oliveros, director of Caracas-based Ecoanalitica. "It's a chaotic scenario."